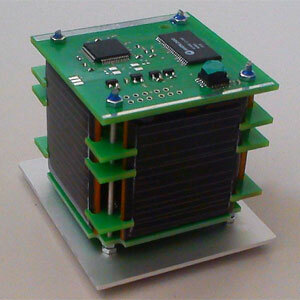 Wren is a crowd-funded femto-satellite by start-up company STADIKO to test miniaturized µPP-Thrusters, 3-axis control and a new image based navigation system in a satellite built to the 1P PocketQube form factor (5 cm × 5 cm × 5 cm). It will be equipped with a camera system in order to remotely take pictures of the earth, the sun and deep space objects. The camera will also be connected to the board computer. In this way the implemented artificial intelligence will evaluate the pictures in order to detect the earth’s nadir relative to the sun. Together with the conventional gyro- and magnetic field attitude sensors, those three components will constitute an adaptive feedback guidance system which could precisely navigate the satellite on its own into the specified orbit by using its four micro pulsed plasma thrusters (micro-PPTs). The guidance system will be the main part of our mission as this could not be investigated in a non-micro-gravitational environment. An Additional feedback position controller will be installed in order to optimally adjust the direction of the high transfer rate antenna, through which Wren will obtain mission orders to be executed. In return, Wren will send back the collected pictures, scientific and telemetric data to mission control. Due to the flexible and highly modular design, ground control will also be able to uplink software updates to the Wren board computer. The satellite will be deployed from the Italian UniSat 5 satellite from a MR-FOD (Morehead Roma Femtosat Orbital Deployer) deployer after launch on a Dnepr booster.